The 61st Street station, designed by architect Myron H. Church and engineer R.I. Sloan, was built in 1892 when the South Side Rapid Transit extended its tracks to Jackson Park for the 1893 World's Fair. The station building was a grade-level structure, identical to the structure still at Garfield, and those now removed from Indiana, 51st, and 58th. The structure was built by the Rapid Transit and Bridge Construction Company of brick with stone sills and foundation and polychrome brickwork along the roof line. 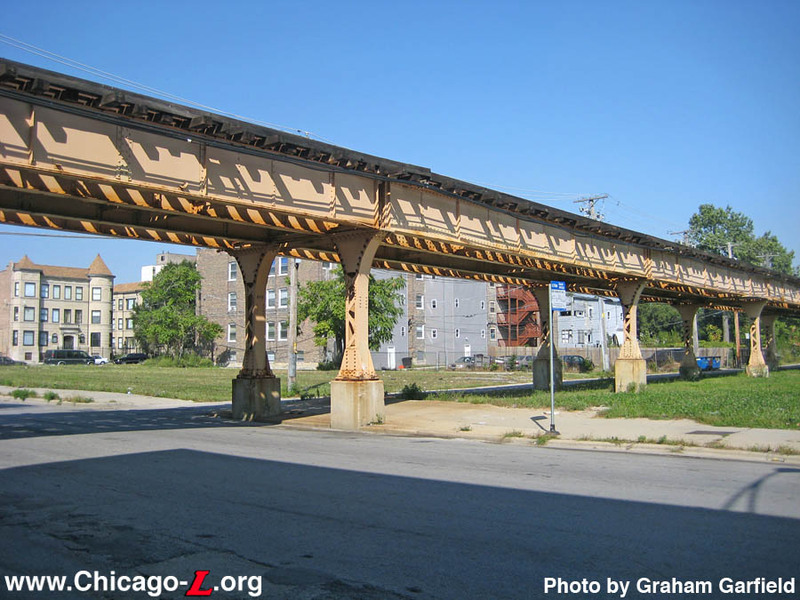 The platforms were standard for the South Side Rapid Transit and most of the "L" system: dual wooden decks and treads on a steel structure. The canopy was constructed of steel posts supporting a tin roof. The platform lights were of the classic shepherd's crook variety. 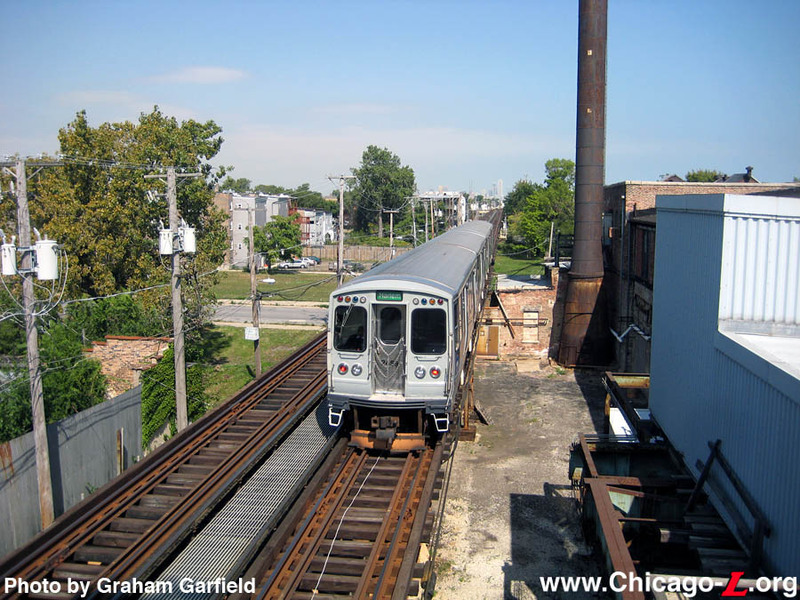 Service was extended to 61st Street on January 22, 1893 and beyond just three months later. 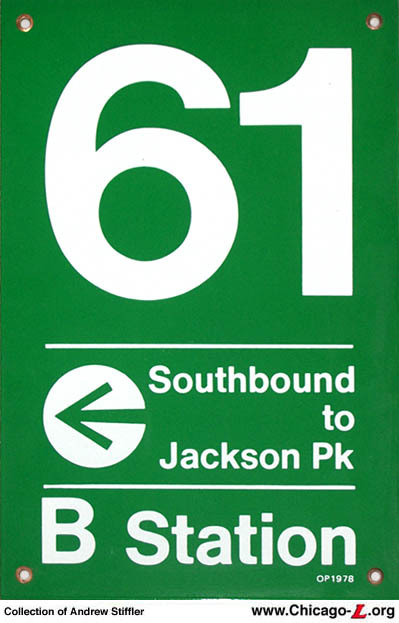 On March 4, 1982, service on Jackson Park branch was suspended south of 61st Street due to structural defects in the Dorchester bridge over the Illinois Central Railroad. 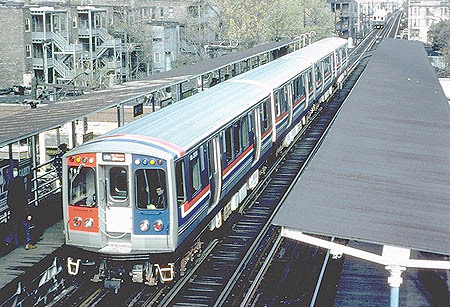 The city's Department of Transportation come up with a number of responses, which included cutting service to Dorchester on the west side of the IC tracks, abandoning the Jackson Park branch altogether and replacing the IC bridge and restoring service to the Stony Island terminal, the latter of which Mayor Byrne supported. 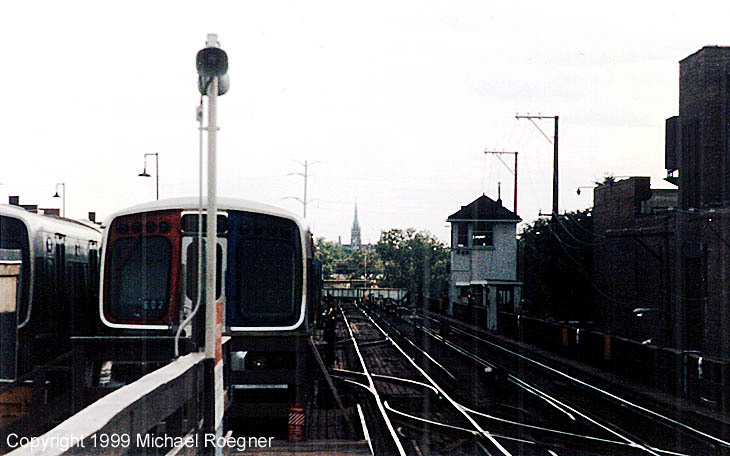 On December 12, 1982, service was restored as far as the University Avenue stop. The defective bridge was later demolished. 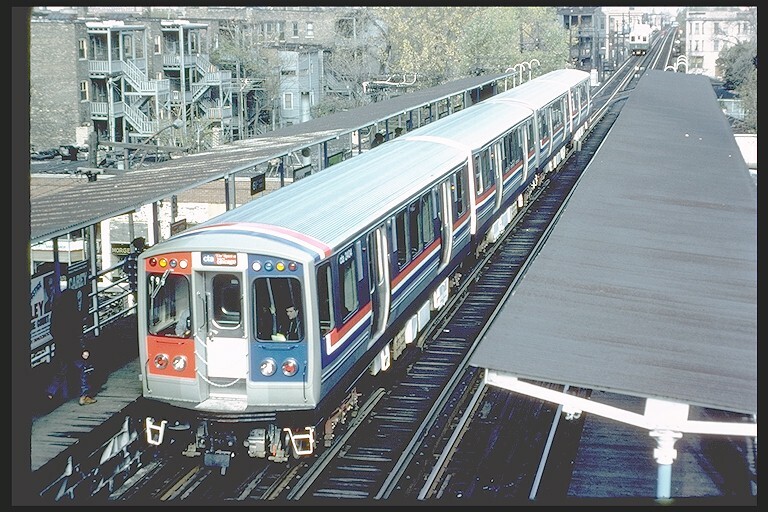 Because the Jackson Park branch's yard and shops are at 61st Street (immediately south of the station) instead of at the end of the line, some trains, especially at night, would end their runs at 61st Street and then retire into the yard instead of going to the end of the line and deadheading (running without passengers) back to 61st. (An additional facility, immediately south, was added in 1903: the Lower 63rd Yard.) 61st station was also a common location for mid-line car adds and cuts, also due to the presence of the adjacent yard. 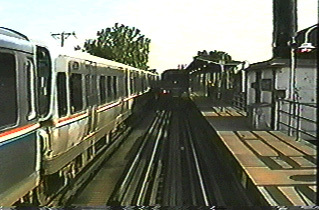 For instance, as the heavy rush hour ridership period approached, it would be common for a 4-car northbound train dispatched from Stony Island (or later, University) to have another four cars added to the back of it while the train was stopped in the station to make an 8-car train for the rest of the trip downtown. These adds and cuts by switchmen in the station ceased after the line closed for renovation in 1994. 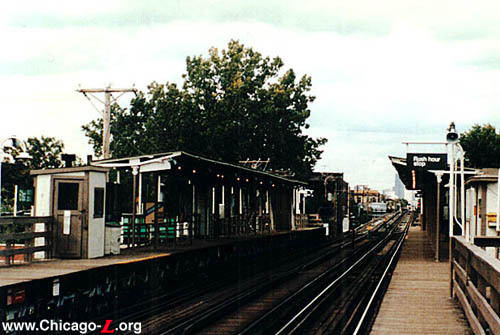 The station remained open until 1994, when the Green Line closed for repairs and rehabilitation. 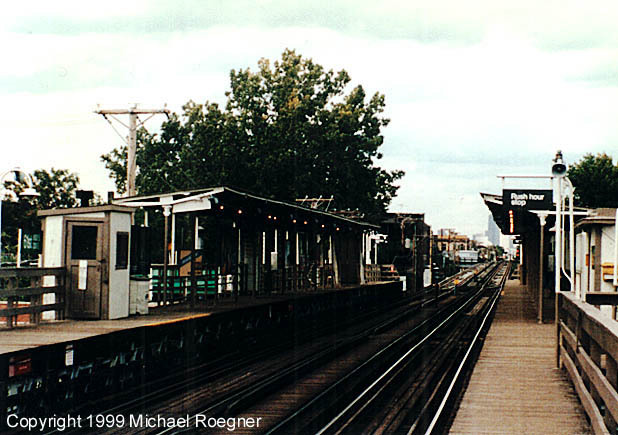 61st Street didn't reopen in 1996 with the rest of the line, a casualty of service cuts. The platform is now gone, as is the station house, though the concrete foundation of the latter can still be seen underneath the tracks on the north side of the street.